You won’t be able to resist the call of the wild symbol. When the wolf howls it will multiply all wins by up to 10x when part of a winning combination. 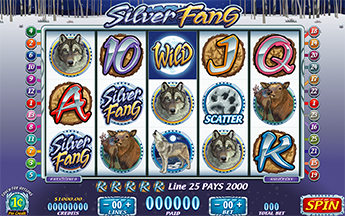 Additionally, 3 paw symbols award a 3x entry award plus 20 free spins. 3 or more Paw symbols in any position award 20 Free Spins with a 3x entry award. Free spins can award more free spins and entry award. 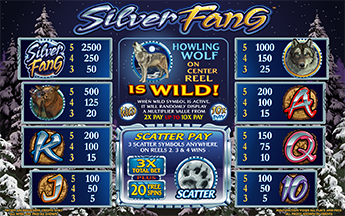 Free spin reels have triple the number of wild Wolf symbols so be prepared for a howling good time.